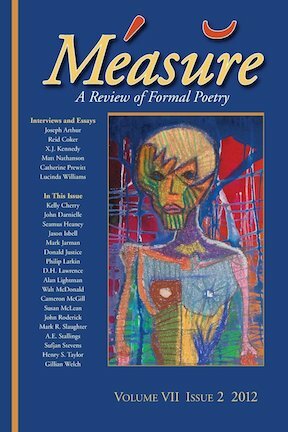 Interviews with and essays by Joseph Arthur, Reid Coker, X.J. Kennedy, Matt Nathanson, Catherine Prewitt, and Lucinda Williams. Poetry and lyrics by Kelly Cherry, John Darnielle, Seamus Heaney, Jason Isbell, Mark Jarman, Donald Justice, Philip Larkin, D.H. Lawrence, Alan Lightman, Walt McDonald, Cameron McGill, Susan McLean, John Roderick, A.E. Stallings, Sufjan Stevens, Henry Taylor, Gillian Welch, and many others. I first heard Paul Simon’s “Hearts and Bones” in winter, one afternoon during the gray weeks when Christmas had passed and spring seemed still a long way off. In the year that had just ended, my twenty-third year, I heard the soul-shifting words, “I love you” and then, “I’m leaving” in the same weekend from a man I had grown to admire more than anyone I had ever met before. By winter the heat of tears was familiar to my eyes. Every time I drove alone, my head spun wondering why this thing had shaken me so fiercely and whether I would ever feel better. I couldn’t listen to the radio, because all the songs were about love and love lost but none of them offered any help. Then Simon’s “Hearts and Bones” came on a CD that a friend had left in my car, and I couldn’t turn it off. I only half-listened that first time, but I tuned in at the very end to hear this: You take two bodies and you twirl them into one / Their hearts and their bones / They won’t come undone. In an instant I was a mess of tears. Simon had put words to something I must have known in a deep place but had not articulated yet. And then I listened over and over, rewinding to discern words I had missed, trying to grab at the treasures that this writer had that I needed. A songwriter myself, I wonder what sets this song apart from others. In part, I think it has to do with the sacramental power of poetry. Visual and tactile details light up my senses and pull me into the fright and thrill of being in love: The arc of a love affair / my hands rolling down her hair / love like lightning shaking til it moans / hearts and bones. A fresh metaphor helps me to understand new nuances of my own experience. Every interaction in love seems charged with electricity; I had felt this but I hadn’t named it until Simon called it lightning. And as I listened I was in the lightning again. Like the Sacraments of the Church, sensory language dignifies my personhood, addressing me as a thinking, feeling and embodied person. In that sense, poetic language humanizes the artistic exchange. There are also simple, conversational lines here that do nothing for my senses, yet speak to something deeper in me still: Why won’t you love me for who I am where I am? This speaks because it is honest. Simon wrote the title track of his 1983 Hearts and Bones about his then-girlfriend Carrie Fisher, who he went on to marry and then divorce. Here, we meet the couple in a moment of tension before marriage when their relationship is waiting to be restored. I didn’t do this research until recently, but I knew from first listen that Simon’s writing must have come from a hidden place where his own memories and imaginings live. He entrusts me with his own story, personalizing the artistic exchange. It was writing like this, artful and honest, that I needed that winter. Most other songs on the radio did not seem to come from an honest place. Lyricists who recited stale stories and stock images taught me nothing new—nothing about the writer, nothing about myself, and nothing about the grand narrative of human experience. In the artist’s work to cultivate satisfying connection with an audience, a lyricist has an advantage over writers of the written word: a human voice will deliver her writing to a human ear. The voice will sound with the singer’s own emotion and will literally reverberate in the listener’s head. The voice does some work to humanize and personalize the artistic exchange. But this does not mean that songwriters can get away with lazy language and clichés that are neither artful nor honest. A cliché can certainly offer an honest sentiment, but more often than not, it only obscures meaning. Not only is this kind of writing uninspiring; worse yet, it diminishes the sanctity of love. Pop anthems that lack specificity and personality are interchangeable at best and disposable at worst, and they had me believing the terrible lie that love would come and go without leaving much of a mark. Simon’s writing, fresh and true, helps me to know the writer uniquely, to know myself, and to understand the terrifying power of love more truly. In the car on that gray afternoon, I understood, by the seriousness and care with which Simon writes, the seriousness of love itself. I understood that when two people knit their lives together in love, it is slow and tedious work to untangle. I understood that it is right to grieve the loss that necessitates such work. And I finally began to hope toward a day much later when I might take on the weighty and precious privilege of love again. Catherine Prewitt studied writing at the University of Pennsylvania and is currently a fellow at the Trinity Forum Academy, where in her study of theology and culture, she is learning that the way we engage art mirrors the way we engage God and people: we aim for full understanding and humbly yield to the slow work of uncovering a mystery. Hear her music at www.catherineprewittmusic.com.